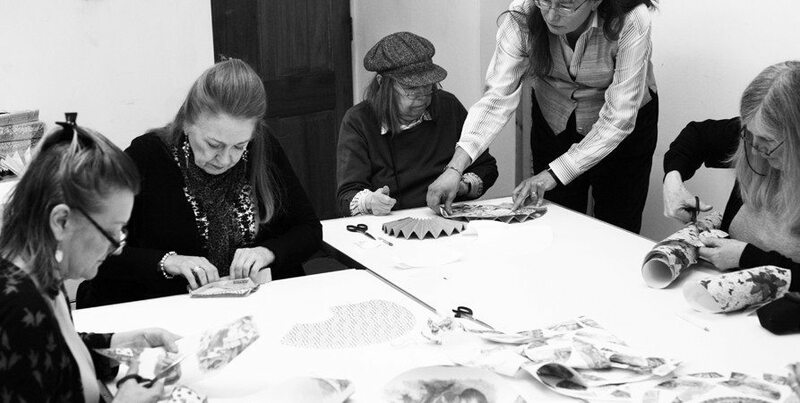 Due to high demand we have added in an extra Fan Making Workshop on Saturday 16 May! This session is conducted by an experienced tutor who will not only provide expert guidance, but also a wealth of knowledge about the history and craft of fans. The classes start at 14.00hrs and last approximately 3 hours during which the participants will make two fans: one of the traditional Chinese shape, the other of the Fontange shape, an early 20th century design. Fan Sticks, equipment and tea/coffee and biscuits are provided by the Museum, all you have to bring with you is two different sheets of paper. Gift wrap is suitable, but not too shiny or folded.